The Divergent filming is taking place at many locations throughout the city of Chicago, IL. In this article, you will see photos taken by fans of Veronica Roth's series that were taken during the movie filming process. I will also let you know exactly where the filming is taking place and how to know that the movie being filmed is actually Divergent. 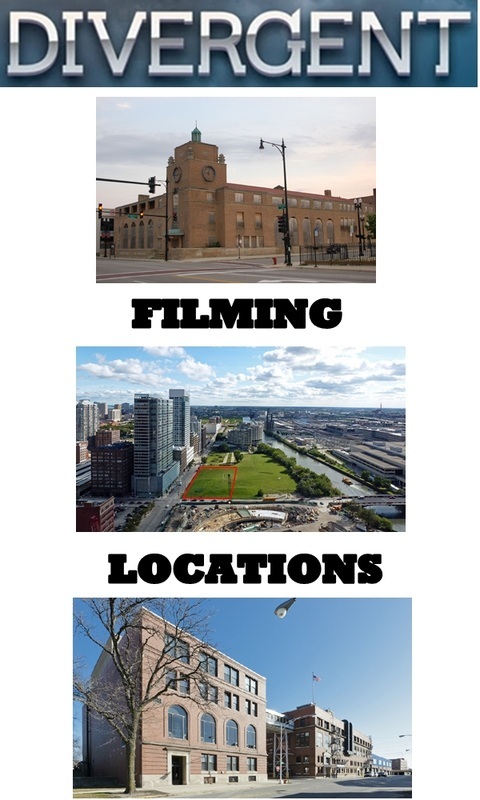 If you are able to get to the Chicago area by July of 2013, you should go check these places out and see if you can find any new filming locations. Near the bottom of the screen you will find a Google map that has all of the filming locations pinned to it for reference. We have a list of known shooting locations for the Divergent movie below, but if you are out and about in Chicago and want to find clues for new shooting locations, you will need to know the "secret" names that the movie is using to mark their locations. DVG Productions: This is the production company that is filming Divergent. The DVG reminds me of a shortened form of "Divergent." Catbird: Catbird is what is known as a working title. A working title is when a film crew changes the name of their actual movie in order to keep people from figuring out that filming and production are taking place. Catbird appears to be a random title to throw people off. @Dauntless46: Dauntless46 lives near Chicago and takes amazing pictures of the filming locations and provides wonderful descriptions of what is going on! @someclichename: SomeClicheName has been regularly going to check on each location that is provided so she can give us the scoop on what's happening! @OLV: OLV stands for On Location Vacations and they post updates on where Divergent and many other TV shows and movies across the country are playing. I'll keep updating this list as I find sources with regular updates! Cinescape is located in Chicago, IL and is where Divergent production will take place. Cinescape Chicago Film Studios helps filmmakers by providing them with places to build their sets (including paint and carpentry shops), equipment rental and prop storage. There are also many amenities for the actors such as casting, wardrobe and dressing room spaces as well as on-site dining areas, event planner and caterer. There is plenty of parking space for the cast, crew and their film units and storage trailers. There are stages in different sizes available for filming that are soundproof so we are assuming that quite a bit of Divergent filming will take place here. Are you going to go to Chicago to see the Divergent movie filming? I live there and I've been there! I live there but haven't been to a location. Yes! I went to Chicago and saw a location! 600 S Wells St. in Chicago is where the Divergent movie will film some of their outside shots. 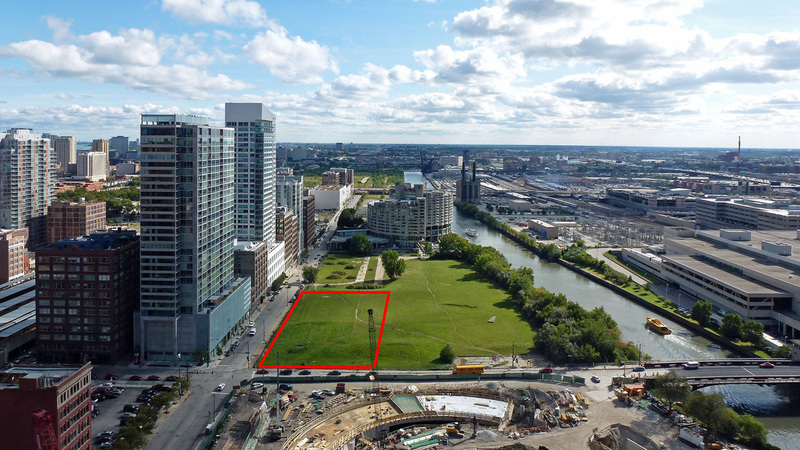 This is basically an empty plot of land that measures 63,740 square feet that is located off of the South Loop where outside sets are being built. The building located at 2400 S Michigan Ave measures 5,500 square feet. This was the home to the Chicago Defender (weekly newspaper). Fans have spotted several trailers at this location, wiring and even Catbird signs which help us confirm this as one of the shooting locations. There are two blocks along W Pershing Rd between Honore St and Hermitage Ave that are going to be used for Divergent filming in some way. This was checked out by Dauntless46 and she saw signs indicating filming to come as well as wiring going to the building pictured at right. She also saw that filming was taking place on April 15! According to OLV, Divergent may also be filming at "1200 18th St in Chicago." Our guess is that it will be 1200 East 18th St.
You never know where you might see the Divergent cast while they're staying in Chicago. In the video below, they are going to eat at a restaurant called The Girl and The Goat which is located at 809 W Randolph St. Perhaps you can make this one of your stops as you look for Divergent filming locations! We'd love to hear from you if you know of any other filming locations or if you've gone out looking for Catbird signs or the movie cast! Let us know your progress or your plans to explore! Also be sure to let us know where you've posted photos if you see Divergent filming!